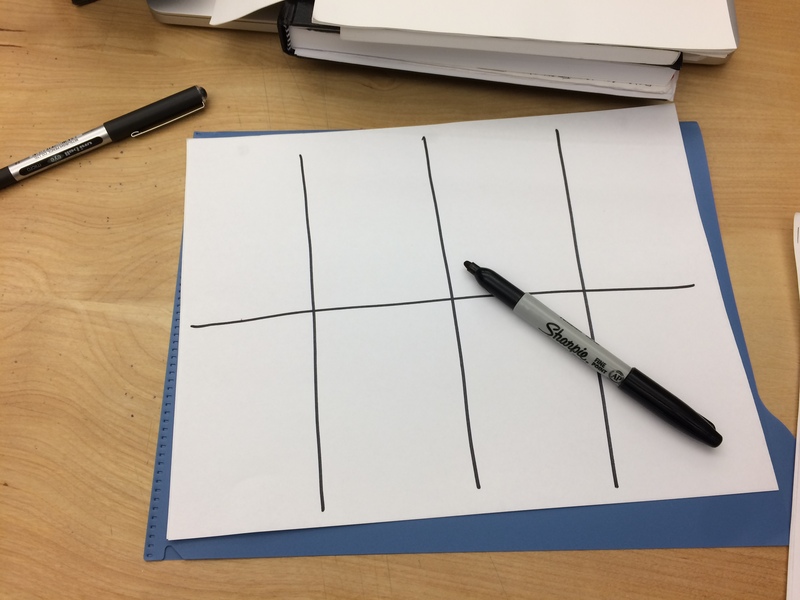 In July, I had the pleasure of working with the Masters in IxD designers at California College of the Arts (CCA.) 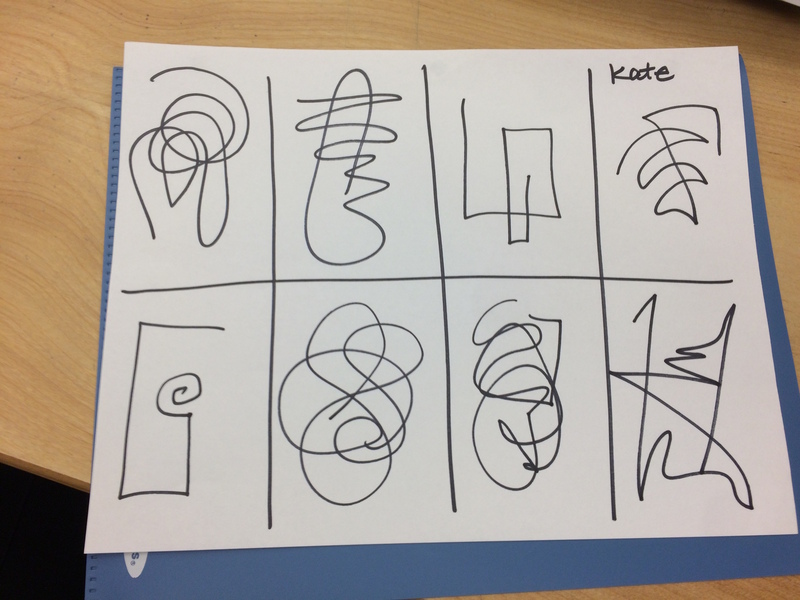 Facilitators Jon and Piril led the group in a short and fun creativity warm-up activity: squigglebirds. Jon walks us through how to do it. 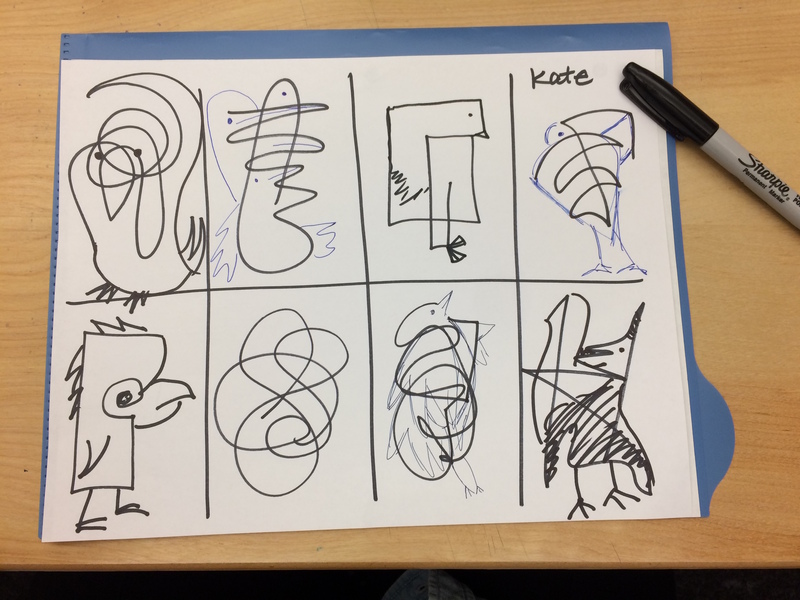 The activity was short and sweet, and it was so interesting to see how quickly we could all make birds from squiggles! 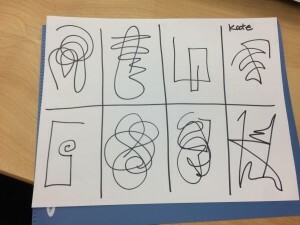 Our experience reminded me of the amazing power of our pattern-making brains…we are constantly seeking coherence and meaning, and can even find it in random squiggles. I think I’ll use this as an ice-breaker when I facilitate meetings, since it encourages creativity without fear. 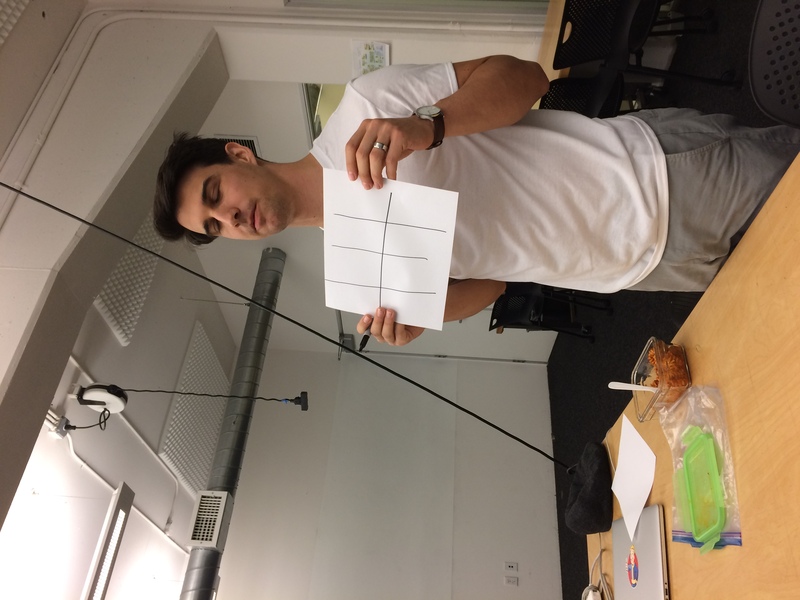 Thanks to Jon Jordan and Piril Akay for introducing this technique. Step 1: Make an 8-up sheet, with sharpie at the ready. Step 2. Fill each space with a random squiggle. Step 3. 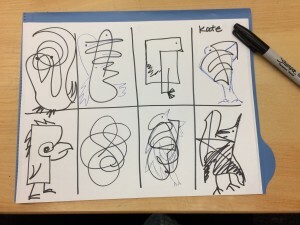 Pass the sheet to the person on your right, who transforms your squiggles into a bird. Or, you can work solo and do it yourself. You can see the resulting squigglebirds from my colleagues. Fun! 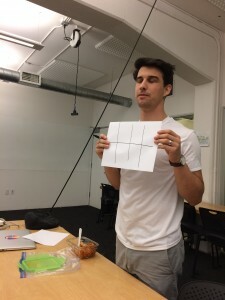 Check out the Gamestorming site for more information on the activity. We sometimes do need that push to be brave enough for creativity.